If there's one thing everyone in the office loves to do (aside from, um working, of course), it's eating. It's a foolproof way of getting yourself recharged and ready to hop on the next task all while hanging out with your officemates. 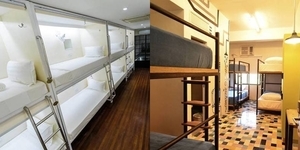 It's also a good way to celebrate a birthday or a promotion, so when time comes and you suddenly find yourself looking for a place to get your treat, you need only check here! From pancit to barbeques to pichi-pichi, here are some of the places where you can get your office food staples for the next big "pakain." 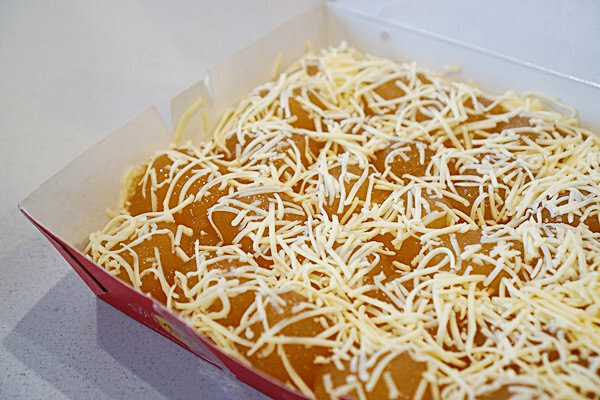 Ask anyone where to get the best pancit and pichi-pichi in Manila and they'll probably point you to Amber, which makes it a staple in every party. It's not called "House of the Original Pancit Malabon and Delicious Pichi Pichi" for nothing, right? They've been in business for 29 years now, and have always been famous for their pichi-pichi and pancit dishes served in a bilao. They also have a catering service, so if you're planning a big party and are willing to go all-out, Amber is one of your best options. Contact Number: 884-8888; See their menu here. If Chinese food is more of your thing, there's no better place to go than North Park. They offer "Chinoy comfort food" as and they're known for serving good dishes at an affordable price. They started out as a noodle house, but they soon expanded their menu to offer more of Chinese dishes that are concocted to fit the FIlipino palate. While they have dishes served a la carte, you may also choose to order from their Party Picks menu which would be good for 18 to 24 people. Contact Number: 737-37; You may also order online here. When it comes to Filipino food, Buddy's is a must-try. It's a restaurant which was established in Quezon before it branched out in the metro. 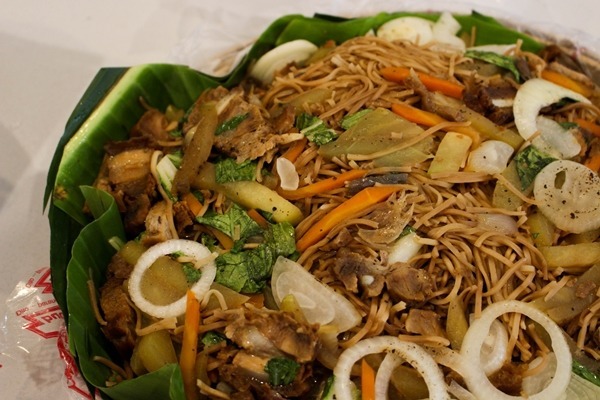 So if you've always wanted to try the famous Pancit Lucban without driving all the way to Lucban, this is where you should go. Their pancit dishes may also be served in different sizes, depending on the number of people sharing. Contact Number: See the list of landline numbers per branch here. You may check out their menu here. Aling Tonang's main specialty is Pancit Palabok and Pancit Malabon. 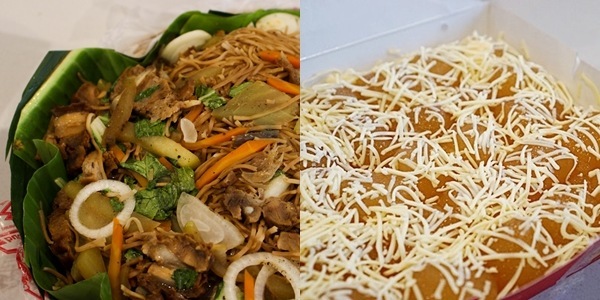 They may only have one branch but people are willing to go all the way to Boni Avenue in Mandaluyong to get a bilao of their pancit goodness which they bring to their schools and offices. If you want other dishes, they also serve Filipino specialties, including Kare-Kare, Dinuguan, and Kaldereta, as well as kakanin like Biko, Sapin-Sapin, and Kutsinta. Contact Number: 532-0745; See their menu here. Craving for some grilled goodness? 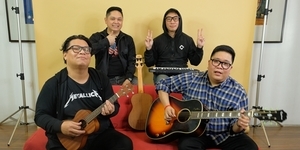 Head on over to Ineng's! They serve a number of lutong-bahay dishes, but what keeps the people coming back for more is their barbeque. They have chicken BBQ, liempo BBQ, chicken inasal, longganisa BBQ, and of course, their pork BBQ which you can buy in groups. Contact Number: 709-0026; See their menu on their Facebook page. Who said salad can't be a good potluck food? SaladStop! offers fresh and high-quality salads, wraps, soups, and drinks - perfect for the health conscious or for those who just wants to balance their meals. The place also lets you customize you own salad, from their ingredients to the dressings so it's just as anyone wants it to be. Sadly, they don't offer deliveries, but they do have a number of branches in the metro where you could get your salad fixes. They may be known for their cakes, but Conti's also offers dishes that would complete an office party! From appetizers and salads to pastas and meat menu, you'll never run out of new things to try. Family-sized orders are good for 6-8 persons while the party-size can cater 12-15 persons. Contact Information: Order online through their website. See their menu here. Whether it's for someone celebrating his/her birthday, or just a craving that the everyone with a sweet tooth in the office is having, Red Ribbon has the fix. Choose from their wide variety of cakes and cake rolls you may customize if you feel like making it a bit more personal and sincere. If you're looking for a snack to munch on while working, they also have pastries like mamon which are affordable, yet still filling. Contact Information: Order online through their website. Which of these is your favorite? What will you be trying next? Let us know in the comments!